With formal charges looming against his client within days, the lawyer for an Army sergeant suspected in the horrific nighttime slaughter of 16 Afghan villagers flew to Kansas and was preparing for his first face-to-face meeting with the 10-year veteran. John Henry Browne of Seattle said he planned to meet Monday with Army Staff Sgt. 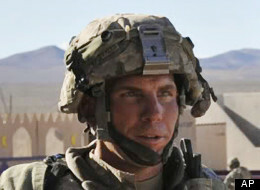 Robert Bales, who is being held in an isolated cell at Fort Leavenworth's military prison. Bales, 38, hasn't been charged in the March 11 shootings, which have endangered relations between the U.S. and Afghanistan and threaten to upend U.S. policy over the decade-old war. But formal charges are expected to be filed within a week and if the case goes to court the trial will be held in the United States, said a legal expert with the U.S. military familiar with the investigation.